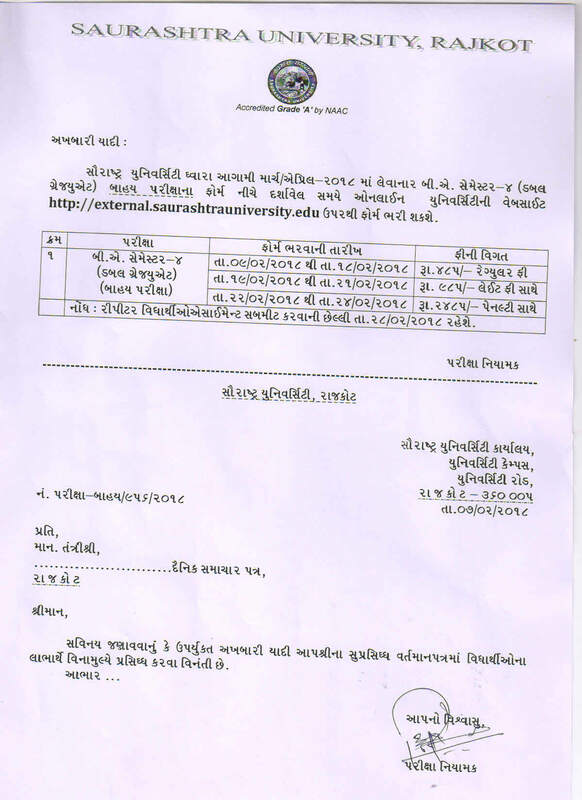 How to Apply : Interested candidates may apply Online through website from 08/08/2016 to 16/08/2016. How to Apply: Interested candidates may apply Online through the website from 27-07-2017 to 03-08-2017. 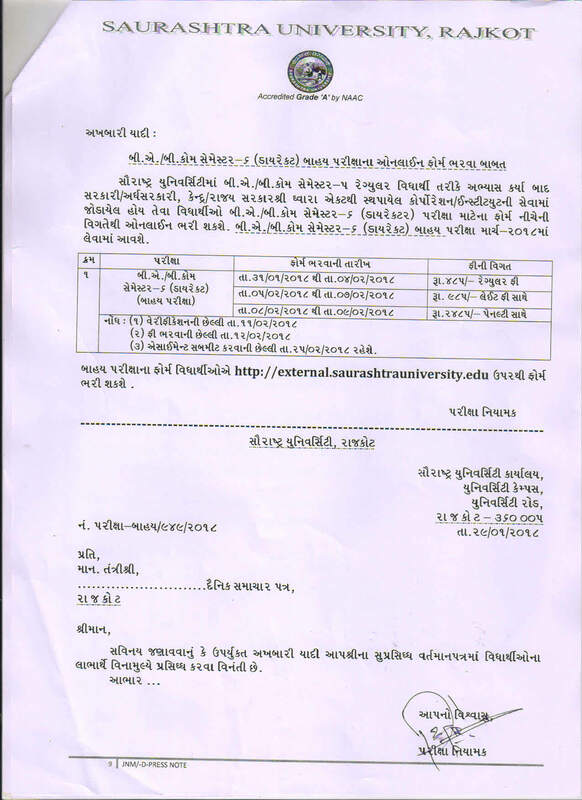 Saurashtra University External Exam Form 2017 Available at official website external.saurashtrauniversity.co.in. 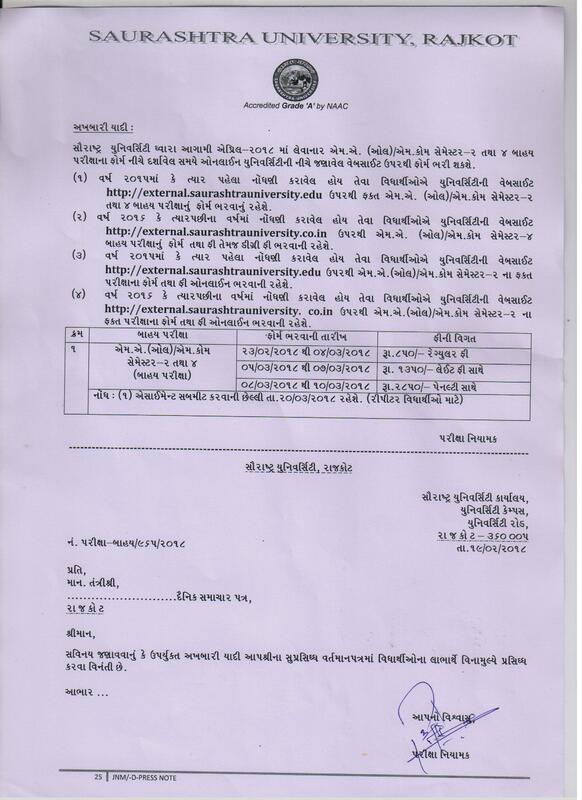 Candidates can submit Saurashtra University Online Application Form at below link. 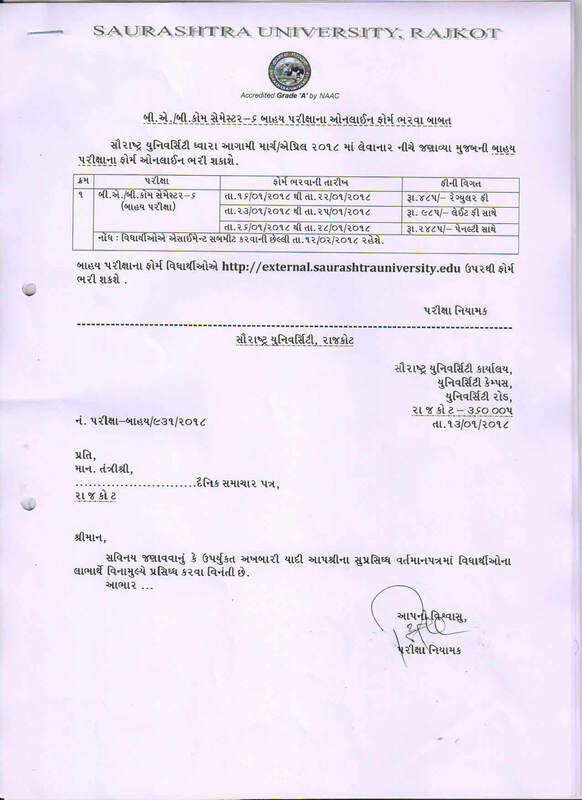 External Exam Management System has released notification for Saurashtra University External Exam Online Form for B.A, B.Com, M.A & M.Com Semester. 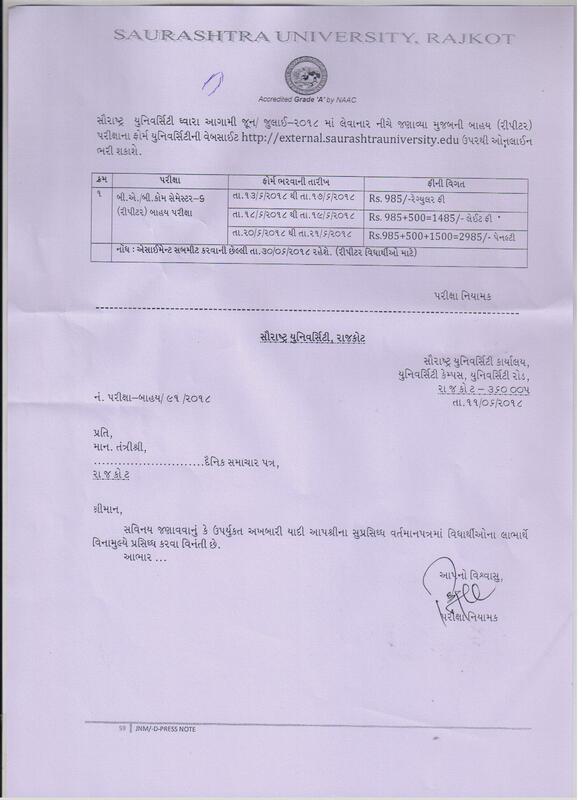 Saurashtra University Exam Form 2017 will be start form 03-03-2017 to 10-03-2017. 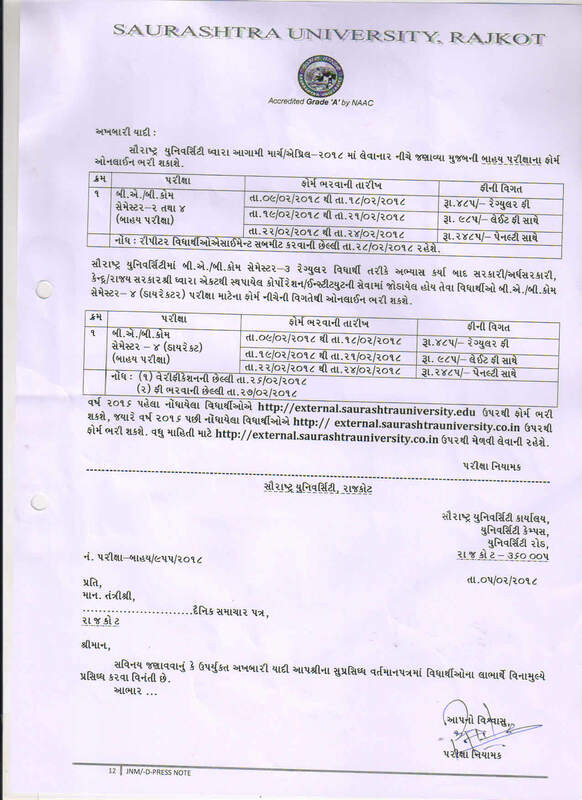 For More Details about Saurashtra University BA, Bcom, MA, Mcom Exam form 2017 are given below. 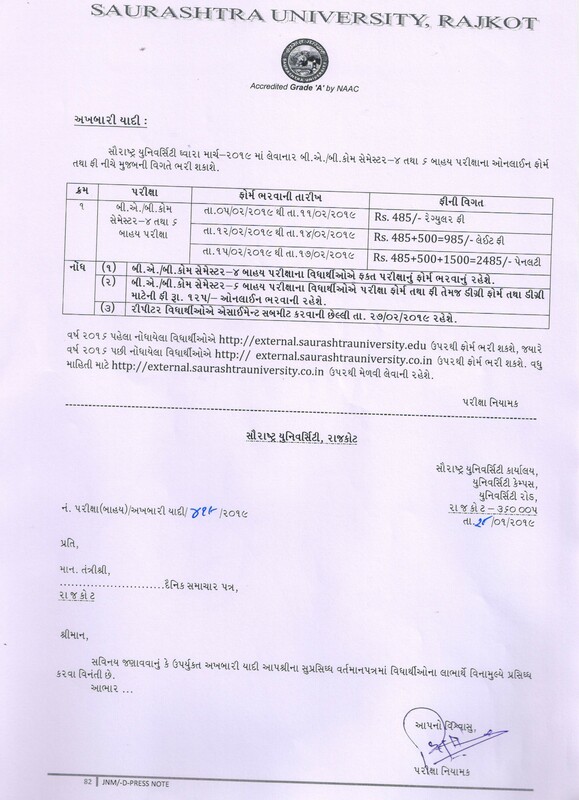 Candidates are advised to regularly Gujinfo Website for details and updates regarding Saurashtra University External Exam Form 2017, Exam Date, Time Table, Hall Ticket & Result etc.